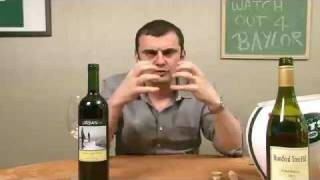 Gary Vaynerchuk mixes it up and tastes one very interesting wine- a Malbec (aka Cot) from the Loire Valley in France. I’ve really liked the shows this week. I really like shows that are 10 minutes or less. I can watch at work when my ADD kicks in or as a reward for finishing a task at work, and 10 minutes isn’t too long to goof off. I usually save the longer shows for the weekend. 1 wine is fine; 2-3 is fine. I really like the brown bags. I kind of like when you don’t know what the critics have scored the wine, although from your history of scoring it is clear you don’t let scores sway you. 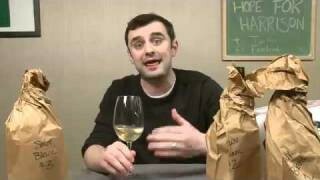 I also find that you generally dislike the wines in the brown bag, except for the recent shows where you did like them. Keep up the great work. 1 wine is a great format for geeking out on more obscure regions and varieties. I think also some 1 wine/cult wine episodes would be great. Would be nice to see the wines that everyone is going crazy for. 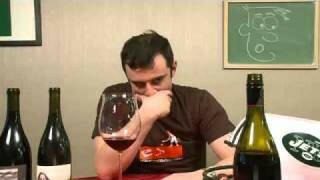 Head to head is another great format, but not sure if it is better than 1 or 3 wine episodes. It becomes more about beating the other wine and not educating about a region or giving variety. I like that you mix it up, but overall I’m definitely more of a fan of the 2+ wine shows. Head-to-head is good too, as long as there’s an interesting point of comparison between the 2 wines (i.e. same varietal different region, same producer different wine, same wine different vintage, etc etc etc). Sounds like a wine I would like! Any lead on where in the LA area I could find it? The short one-wine shows are ok if done on the rare occasion. I very much prefer shows displaying two or more wines. Whether it’s a show representing varietal, the different degrees of place, appellation, etc. OR it’s just a random collection-a nice 20-30 minute show is full of insight and the comparisons made instruct your public. Gary — I love your show. Thanks for keeping on with it. I prefer shows with one or two wines. I prefer a total run time 10 minutes or less — I usually can’t find time for shows longer than about 12 minutes. Also, please stress food pairings. BTW – Maryland legislature is on the verge of allowing direct shipments of wine. Let’s talk it up and make sure the law allows retailers to ship. I’d love to get winelibrary shipments to my Maryland address. 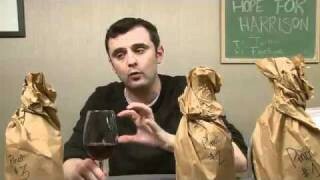 I enjoy the brown bags…I feel like you should do “brown bag friday” or something. Maybe mis it up by putting a sports flair on it…”monday shootout” where you compare two head to head…mix it up on days. I wouldn’t want to always see one format though, otherwise it might get boring. It might be cool if you did the same thing every day of the week though? just a thought. QOTD: I’m a fan of variety…so if you were to adjust the format to be the same every time regardless of the format…I would eventually become bored. Maybe if you did one head to head, one individual, and one regon or producer (three shows/week) each week that would be a good alternative. one wine format … nay. QOTD: Definitely like the variety in both time and style. Sometimes the longer ones (30+) are a little hard to fit in my schedule, but you don’t do those that often. My favorites are probably the brown bags, and I kind of like it even better when you do 5 or more brown bag bottles if you get through them in under 25 minutes. But I definitely like your variety. Interviews are a fun way to mix it up too. I love the show. My question to you is this: Why can’t you ship to Washington? I’ve bought online from California. the 5 min show is . . meh. just dont do it too much please, really enjoy hearing you talk. to 8 to 12 min is cool. still waiting for more laid back fridays first though buddy . two to three wines in the regular. . maybe a one wine show once or twice a week . One wine, head to head, brown bags, whatever… probably best to mix it up along the way. 1000 of the same wouldn’t have worked! I enjoyed this show; but I really do like a longer format. Mix it up; head-to-head is good, knowledge is good, blind is very good. QOTD: I like it. Works well as a show and I can use a little time-saving! 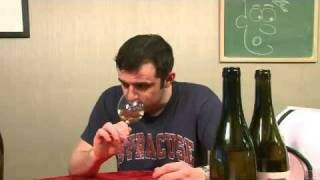 QOTD: I like the one wine shows! 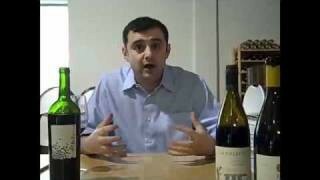 QOTD: Gary, the one wine format is good. 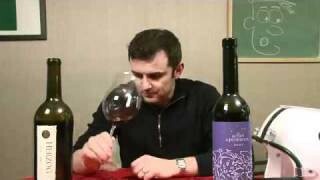 I like the in depth analysis of one wine. It is the upside of the short show. I really appreciate the votes for head to head wines. Could you squeeze in two wines in six minutes? I do enjoy the multiple wine shows. Lets say in a perfect world. 2 wines head to head 6 minutes. that is my yay vote. Hi Gary, I don’t catch your show as much as I would like. However, you really held my attention with the one wine format. It’s not so overwhelming and you can embelish more about where the wine comes from and it’s food pairing. I like it nice change of pace. QOTD: I like the 1 wine format from time to time. However, I generally prefer the 15 minute 2-3 wine format. Not a bad show, but my favorites are always the long, multi-wine episodes. I like all the different show formats I have seen. The different formats I recall are special guest (my favorite), comparison, food pairing, single wine, speed tasting. There may be a few more, but I think it would be a great idea to do one of each of these 5 formats every week. My only preference would be when there are more than one wine to taste, the wines have something in common, which is usually already the case. I like the combination of short one wine shows and the longer multiple wine shows. The variation is one of the many upsides of this wine blogs. Gary, I loved this format; I think it works really well. 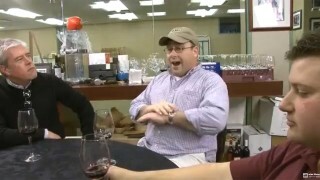 I also enjoy blind tastings, because of the possibility of surprise, and I like guest shows. My wine club (WASTED) is doing a malbec tasting this week, so I’ve just sent out emails to see if I can find it locally (shipping to Wisconsin in one week adds $$$ to those 20 bones). Thank you! Gary, I like shorter shows… not that I don’t enjoy you, but I really like getting my wine facts jammed into my face efficiently after or during work. The special, longer shows rock too, but they should be special! QOTD: Shorter is good, but head to head might be a good balance. Plus you get the competition aspect, which is nice. 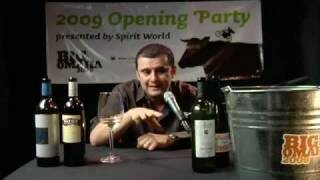 I like the single wine shows, not any better than the others, but it works. I just think during the single wine shows more should be explained about the region and grape or any other information you can give. Keep crushing it bro. Love short!!!!!!! Heavy on nerdom! I’ve had this producer’s Gamay and it was just sooo good. Love his stuff! Single wine shows are nice with education about the varietal and the region and I love the head-to-head and blind tastings as well. 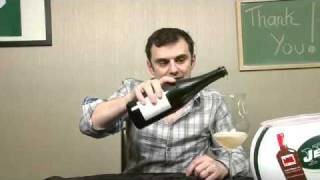 Awesome, uber-nerdy wine professional guests that aren’t full of themselves every now and then would be enjoyable too. I think one wine is perfect for variety regions of the unknown, like Ive never had a red touraine, but like a Cab Sauv no point IMO. I still don’t get why Malbec is so popular in the states.. it really doesn’t do it for me. QOTD – I think one wine is not enough to get a good idea about the variety/region… I find it’s always better with 3 or more. I personally like the shows to be about 20 mins when it’s 3 or 4 wines and I like it to be about 40 mins when it’s you and a good guest.